Exhibition curator Kathleen Franz delivers remarks about the history of advertising at a 2015 donation ceremony for objects from the Mad Men television series. Follow the links below to discover many of the television shows, articles, and press anouncements that have featured the American Enterprise exhibition, its curators, and the museum's larger efforts to chronicle the history of business in the United States. “Innovation and Enterprise.” American Artifacts, C-SPAN.org, April 8, 2016. ABC7 WJLA. American Enterprise Exhibit Comes to Smithsonian National Museum of American History, 2015. Adrian Florido, "The Smithsonian Wants Latino Advertisers To Help Fill A Hole In Its Collection," NPR - Code Switch, December 10, 2015. Allison Miller, “Democratic Capitalism: The Smithsonian’s Hard Bargain in American Enterprise.” Perspective on History: The Newsmagazine of the American Historical Association, October 2015. Anika Gupta, “The Big, Refrigerator-Sized Machine That Saved Chocolate,” Smithsonian, August 31, 2015. Edward Rothstein, “‘American Enterprise’ Review: A Skewed History of American Business,” Wall Street Journal, August 17, 2015. Anne Glusker, “The Story of Mexican Coke Is a Lot More Complex Than Hipsters Would Like to Admit,” Smithsonian, August 11, 2015. Ernest B. Furgurson, “The Entertaining Saga of the Worst Crook in Colonial America,” Smithsonian, July 17, 2015. Alex Palmer, “How Singer Won the Sewing Machine War,” Smithsonian, July 14, 2015. Victoria Dawson, “How Colonel Sanders Made Kentucky Fried Chicken an American Success Story,” Smithsonian, July 6, 2015. Roger Catlin, “How Curators Wrestled With the Complex Story of American Business,” Smithsonian, July 6, 2015. “Capitalism in America,” The Economist, June 27, 2015. Roger Catlin, “How Radio DJ Hoppy Adams Powered His 50,000-Watt Annapolis Station into a Mighty Influence,” Smithsonian, June 16, 2015. “Thomas Edison’s Talking Doll Will Be Displayed At Smithsonian,” NPR - All Things Considered, June 13, 2015. Jennifer Le. 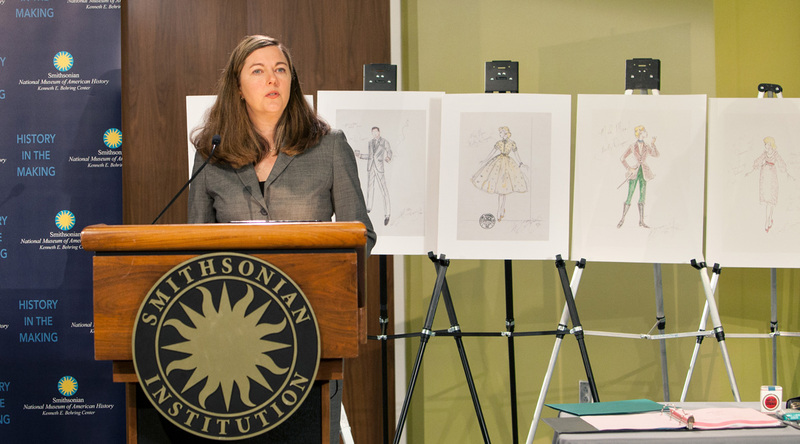 Zotte, “What a 1950s Fashion Maven Might Teach Us About What To Wear,” Smithsonian, June 8, 2015. Victoria Dawson, “The Epic Failure of Thomas Edison’s Talking Doll,” Smithsonian, June 1, 2015. Brian Wolly, “American History Museum Scholar on the History of the ‘I’d Like to Buy the World a Coke’ Advertisement,” Smithsonian, May 18, 2015. Leah Binkovitz, “Candy From Halloween’s Past,” Smithsonian, October 30, 2012. “Smithsonian Collects Hispanic Advertising History,” April 19, 2016. “Smithsonian Collects Hispanic Advertising History,” October 27, 2015. “Is America Exceptional?,” August 18, 2015. "Smithsonian aborda historia de la TV en español en EU," June 23, 2015. “Smithsonian’s ‘American Enterprise’ Explores Business History,” June 11, 2015. “National Museum of American History Accepts Mad Men Artifacts Against Backdrop of Real Advertising History,” March 27, 2015. "African American History Highlights at the National Museum of American History," September 13, 2016. "Spanish Language Broadcast History - Fact Sheet," October 4, 2016.